Refined heatsink streamlines heat away from the LED. 13000RPM TurboCool fan;Shoots cold air directly through an aerodynamic vent to evenly cool every component. Built in IC Circuit (Current Regulator)-Prevents LED Damage from Voltage Variations &Spikes. The bottom of the hollow headlamp with LED text patterns;higher thermal performance. 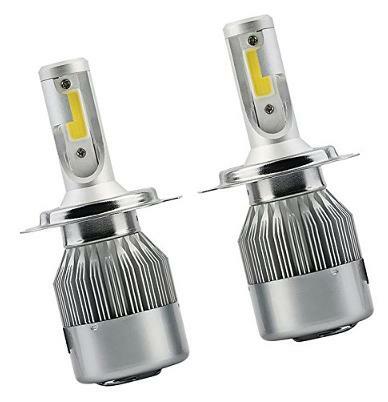 Premium aluminum housing;the headlight better works on rainy days and even in harsh conditiongs). Important Notice: For some European vehicles equipped with a CANBUS systems;our LED Headlights may not light up or flicker. Anti-flicker Relay Harness is needed to prevent it.Just in case;please check the size before you made the order!